Family and friends of David Staffa are raising money to pay for uninsured medical expenses associated with transplantation. David has chosen to fundraise with HelpHOPELive in part because HelpHOPELive assures fiscal accountability of funds raised and tax deductibility for donors. Donors can be sure that funds donated will be used only to pay or reimburse medically-related expenses. For more information, please contact HelpHOPELive at 800.642.8399. The past 18 months (since Mar. ’14) have been very rough for Dave. He has an acute case of GVHD, where graph (donor) cells attack host (Dave’s) cells, which as a result has greatly affected his breathing and eyesight, not to mention other organs and such. Experimental treatments have been tried without much success. We take breathing for granted, so we don’t realize how lung issues can affect so many areas of our lives. Dave gets winded really easily, his strength and stamina aren’t even remotely close to what they used to be, even while sitting his breathing is labored, he has a hard time getting a deep full breath, and the horizontal position of sleeping makes breathing uncomfortable and difficult. All in all, his attitude is remarkable. When he gets news like that mentioned above, of course it would get any body down, but it’s amazing how Dave bounces back and keeps pressing on, never giving up. Just want to check in and let everyone know where I am at and what I have been going through this last year. The cancer is in remission and I am 16 months post transplant ( December 4th 2013). The transplant has been by far the most challenging part of my journey. According to the doctors, I have a pretty sever case of GVHD (graft verses host disease) GVHD is the rejection part of the transplant. I continue to go to Stanford Hospital on a regular basis to be treated for GVHD. Dealing with GVHD and the side effects from the medications takes a lot of my energy and strength. I want to thank all of you who have been praying for me and those of you who have made donations toward my medical expenses. My gratitude toward all of you can not begin to express how humbled and overwhelmed I am by the love and support of each and everyone of you. 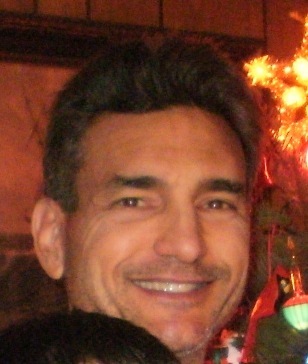 Dave Staffa, a 1978 graduate of Aptos High School, was diagnosed with acute leukemia approximately 2 months ago. Dave needs to undergo a bone marrow transplant at Stanford Hospital. A fund has been set up to help with the costs associated with his care. On October 4, Dave learned from his doctors that his brother, Daniel, is a bone marrow match! The year ahead will include outpatient treatment for another month or two, the in the hospital for one month of heavy chemotherapy, followed by the transplant. After his release from Stanford, he will need to stay in an apartment near Stanford with a full-time caregiver for about four months. After that, he will continue his therapy and recovery at home which include frequent visits to Stanford. This will cost out of pocket an estimated $50,000.00, if not more .Please we are asking for any help no donation is too small. Your donation is fully tax-deductible !!!! Your support for this financial challenge will be greatly appreciated. A fundraising campaign through HelpHOPELive has been set for this purpose. HelpHOPELive are experts in community-based fundraising. They help patients and families faced with a transplant, catastrophic injury or illness tackle the daunting task of bridging the financial gap between what their health insurance will cover and what they actually need to heal, live and thrive. Drawing on decades of experience, we work to provide patients, families and community volunteers with the tools and support needed to launch and sustain successful fundraising campaigns to meet out-of-pocket medical expenses. Happy Birthday. I truly wish that Jesus almighty comes down on earth today especially to shower blessings and love upon you like he has for all other beautiful human beings in the world. I searched your name and found this page. Wishing you the best in these challenging times. Dave, I think of you often my friend. I think of you when life challenges me and I use your journey to inspire me when things get tough on me or my children. I think of the gift of "health" that you've given me through teaching me healthy habits. Take good care and call me for anything. I often think of our time together and usually get a big laugh out of it....All the best to you, Dave. Thinking of you Dave. May you be well. Sending you prayers. Big Dave, think about you all of the time brother. Always wondering how you are doing. Positive thoughts your way my friend. Hi Dave ~ Just wanted to check in and let you know that many MANY of your AHS and Corralitos friends are supporting you, either through donations or through prayers, me included. Remember this: Don't tell God how big your storm is ... Tell the storm how big your God is. Dave, we are glad to finally get some info on you, we've been wondering and praying. We love you dear friend and hope to hear from you when you are ready, take this journey one day at a time. Dave, we think of you every day with love.